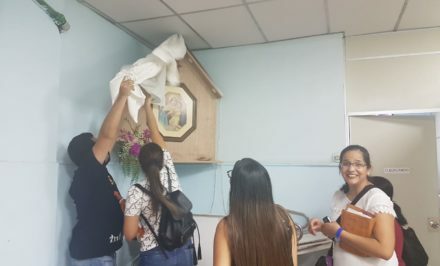 Venezuela, Spain, Argentina, Whatsapp, schoenstatt.org, a 16-year-old boy and his testimony: all of this so she can go where she wants to go, in this case Valencia, Venezuela. 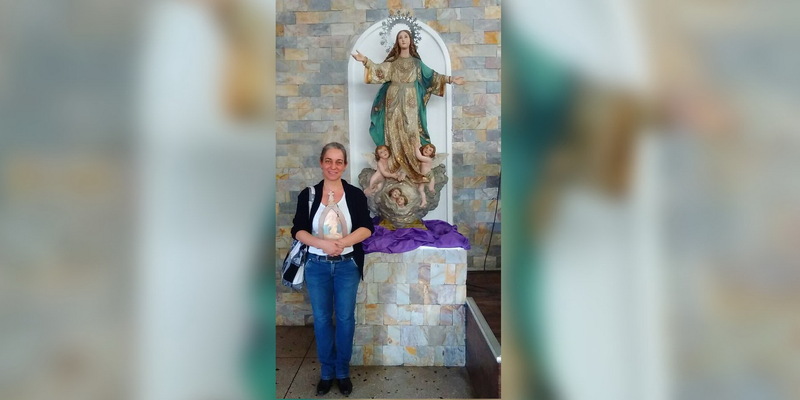 The Blessed Mother, the restless Schoenstatt Pilgrim Mother, seems to know how to use all forms of social media to take her son to the people. 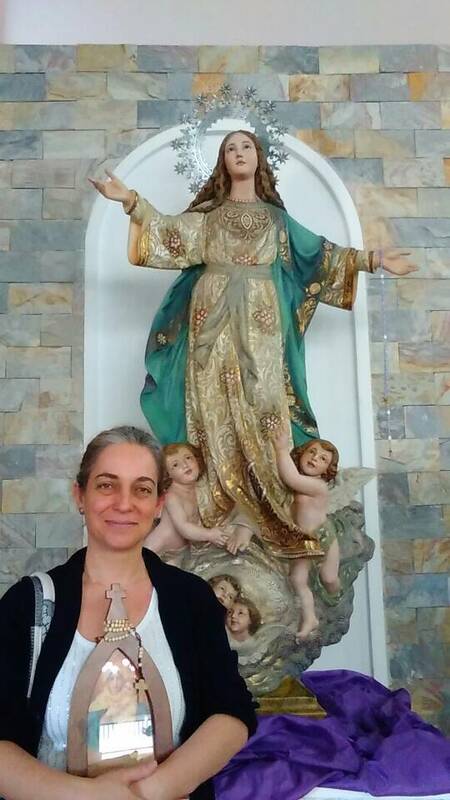 It all began on the 9 January 2018, when Xiomara Moro wrote this comment in the article “The restless Blessed Mother is already on pilgrimage through homes in Barquisimeto” an article by Daniel Rodríguez, a 16-year-old from Barquisimeto, Venezuela, that was published on schoenstatt.org in November 2017. 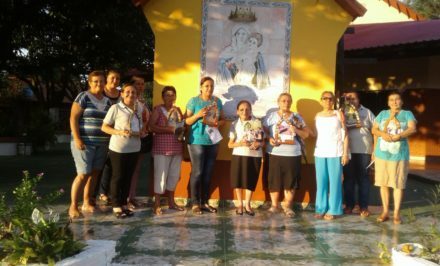 On 27 February, Xiomara wrote: “I want to say that it is wonderful to have the Pilgrim Mother with us. Sunday I took her to my parish, where it was blessed once again by the vicar. Soon I will introduce her to my pastor, since he is on a trip at this time. Everyone who saw the Pilgrim Mother fell in love with her. Some already know her; others do not. 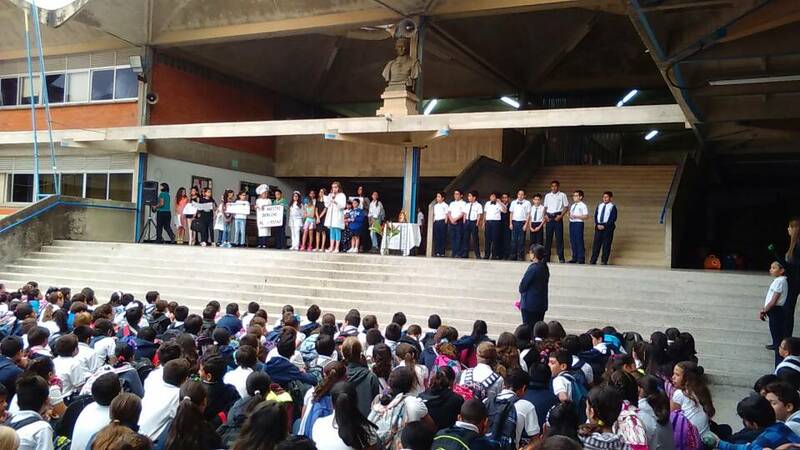 On Monday, we had a visit to my children’s school. 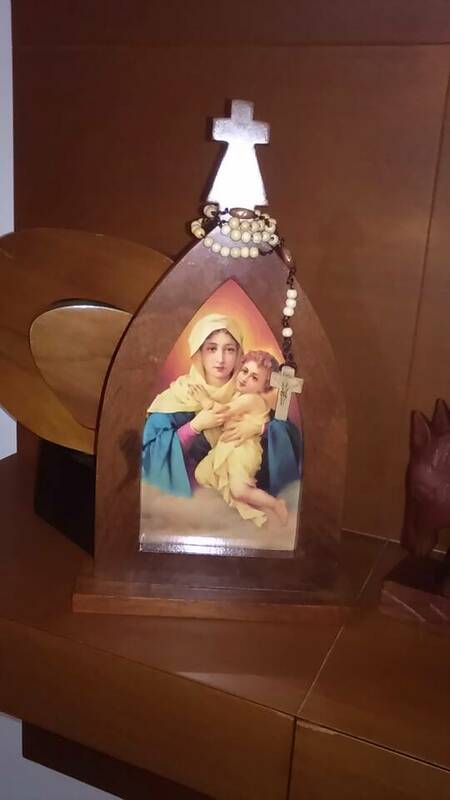 We pray the Rosary every night in our home. 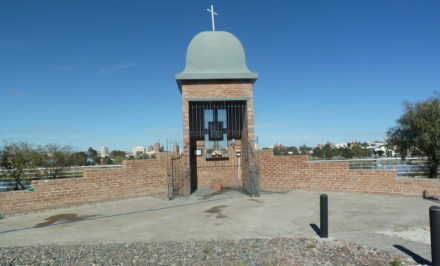 This Pilgrim Mother and the pilgrims from Buenos Aires represent a triumph of the great crown for Father Kentenich’s centenary. In the crown of the original Pilgrim Mother there is a symbol that unites us in one golden gem. 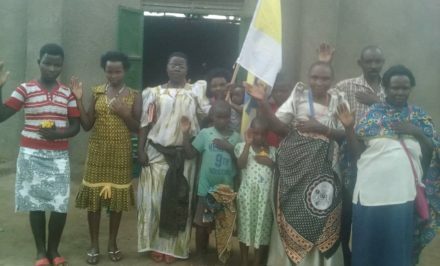 This pilgrimage is worth its weight in gold for the thousands of souls that it may attract to receive the gift of the power of the Holy Spirit. Where Mary is, there the powerful influence of the Holy Spirit is to be found. A Pilgrim Mother arrived in Venezuela within this context, and the first Pilgrim Mother was forgotten and lost track of, but the she did not forget Venezuela. “A summary about Fr. 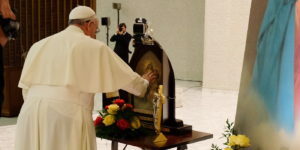 Kentenich, the founding of the Movement, the Rosary Campaign, and the Servant of God, Joao Pozzobon was presented. The children prayed a Hail Mary, and they sang to her. Everything was very beautiful. The Pilgrim Mother has definitely arrived in Valencia. What will happen next is in her hands.